Mohamed Omar is what some would call a workaholic. But, he doesn't seem to mind the title. The 24 year-old from Cairo, Eqypt has already made a name for himself as the Managing Editor for FilFan.com. FilFan.com is the leading Arabic-language entertainment portal in the MENA region. Omar started the position in 2013 at the age of 21. "My work is all about editing, researching, proofreading, entertainment journalism, content strategy. I enjoy managing content and interacting with media influencers and Newsmakers around the World." Omar states. This also includes promoting the websites' social presence, expediting marketing activities, collecting and analyzing visitors' traffic and implementing SEO methods to increase publicity, hits and engagement. Omar found his love for journalism at the age of 12. "I always loved history, reading and educating myself about the world. In my school, I joined several press related activities." he states. During this time he was awarded "The Best Student Journalist" award which gave him enough recognition, which lead to the a career as an editor to work as an editor for a weekly entertainment tabloid at the age of 16. ""Celebrities met me out of pity because I was so young." He says with a laugh. He stayed in this position for several years (while at the same time studying history at The University of Cairo) until the opportunity of FilFam.com presented itself. FilFan.com is credited with being the first specialized entertainment website launched in the Arab world. Founded in 2004, it has seen significant growth and now has hundreds of thousands of fans and followers on all major social networks. "It's highly ranked on Google search algorithm and supported by one of the biggest content networks in the region (Sarmady - A Vodafone Company) and above all this, FilFan is most credible among other media in the same field., which is why it has seen it's popularity increase. " Omar explains. 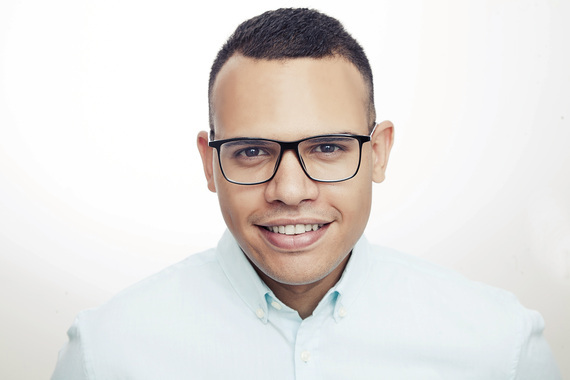 Since becoming Managing Editor, Omar has turned his focus on the quality of content as well as team performance. "I beefed up the team and FilFan started to produce a high quality content in terms of ideas and innovation. I hope to one day be a good asset in a well-established organization, like Twitter or Google and plan on enhancing my skills by continuing my involvement in the business of digital media. And on a personal level I plan to travel more and visit new places soon." He explains. Omar manages a team of 10 people working full-time; 5 of them editors covering different aspects: film, television, music, events and gossip and celebrity news, fashion and lifestyle and 5 who manage FilFan.com entertainment solutions which is a cinema, television and events guide. He has 15+ regular contributors and is hoping to continue to grow it a network in the future as well as expand beyond the MENA region. He reports that in August 2015, FilFan.com hosted more than 1.5 million unique users who spent an average of 3 minutes on the site, generating more than 10.1 million Page-views. After speaking with Mohamed Omar over Skype and Twitter DMs, I am blown away about how much he has accomplished at such a young age. However, there is a sense of humbleness that I get while speaking with him. He is very motivated, but is still appreciative of the position he is in. He simply wants to make FilFan.com one of (if not the best) entertainment sites out there. He also genuinely loves his job, something that comes across in our conversation and is something I think many aspire to achieve. Even though he has accomplished so much at such a young age, it will be interesting to see where this young innovator's career will go next. For more information on FilFan.com, you can visit the website here. For more information on Mohamed Omar, check out his website here.